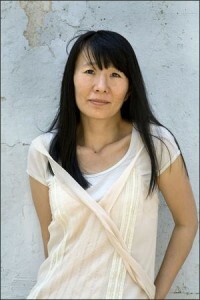 Nami Mun has been named a 2009 Whiting Award recipient! This is exciting news to us here at Sycamore Review. We were lucky enough to host Mun for a reading in February. If you haven’t read her debut novel-in-stories, Miles from Nowhere, you need to! When you’re stuck revising, try to write it in a different genre, and see what happens. Try to write it in a play, or in song lyrics, or in a poem. I realized that what happened was that I was too enamored with my own language, and I couldn’t see the skeletal problems with it. And sometimes you have to strip away that language, and be willing to just get rid of pages and pages of prose to make the story work. It’s painful, but you’ve got to do it. To purchase the current issue, check out the subscriptions page. To find out more about Mun and the Whiting Award, check out the Whiting foundation’s website.